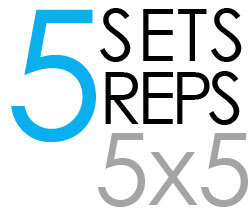 5×5 workouts are a popular choice among strength trainees. 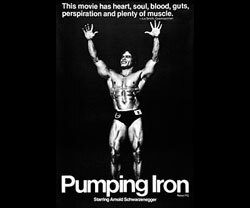 One reason for this popularity is that it is easy to remember the program, but the more important question to ask is whether it is effective for strength gains. This article checks whether they are effective for strength gains and then lists a few 5×5 programs you can choose from. In our previous article, The Strength Endurance Continuum we found that 3-5 reps is the most effective rep range for strength gains, 3-11 reps is good for hypertrophy, and 20+ reps results in no hypertrophy but does improve endurance. So 5×5 reps is one of the best choices for strength gains, and a good choice for hypertrophy. So we can see that 5 reps is roughly optimal, but is 5 sets optimal? The above chart shows an important conclusion about new versus experienced trainees. 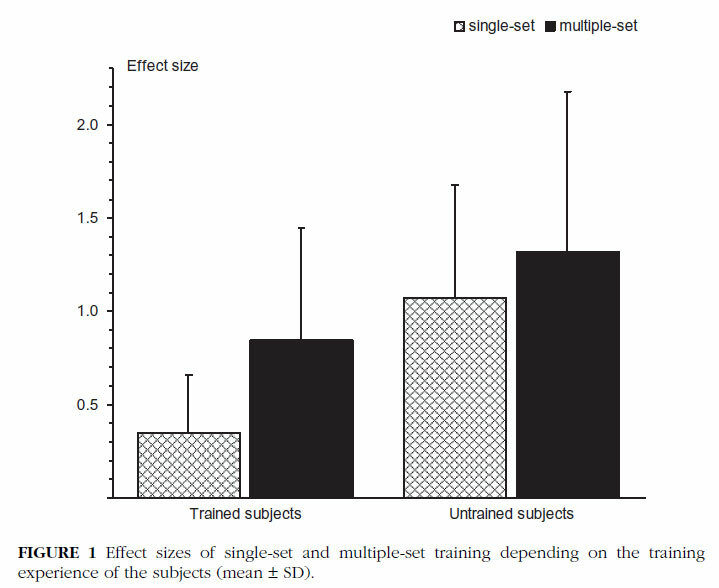 New trainees only received a small additional strength benefit from completing multiple sets rather than one. Experienced lifters however more than doubled their strength gains by completing multiple sets. This suggests than new trainees would not have to complete the full 5×5 program to achieve near maximum benefits, they could do 5×2 and receive roughly the same strength increases. However, they would be missing out on valuable technique practice. So while 5 reps is optimal, new trainees could choose to do 2 sets rather than 5 sets. Which 5×5 Program is Best? 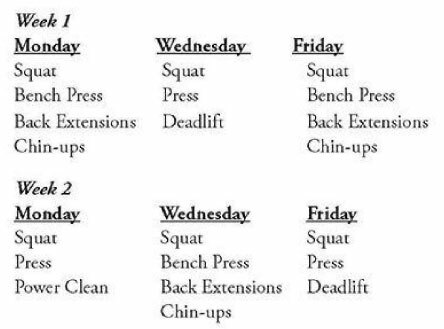 Starting Strength (3×5) and Strong Lifts (5×5) are the most popular programs, but really they are similar in structure. Starting Strength is a book (Starting Strength at Amazon), its main benefit is that it is exceptional at teaching technique for the big lifts. Starting Strength involves pyramiding warm-up sets until you are ready for 3 work sets, so actually it is 3×5, not 5×5, but as we concluded, 5 sets is not always necessary. Comparing the two program summaries you can see that they are very similar programs. The biggest advantage of Strong Lifts is that it is free (the only cost is your email address). The owner Mehdi, seems to make money by selling other products to people who subscribe to his mailing list. 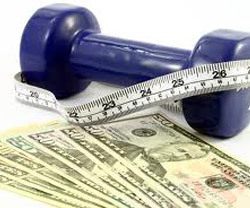 Both of these programs will work well to build strength and muscle. If I was to choose one, it would be Starting Strength for its technique insights. Strong Lifts is a fine choice as well though, but when you try to find videos on technique, you can get stuck behind a wall of marketing. No Responses to "Are 5×5 Workouts Effective?"